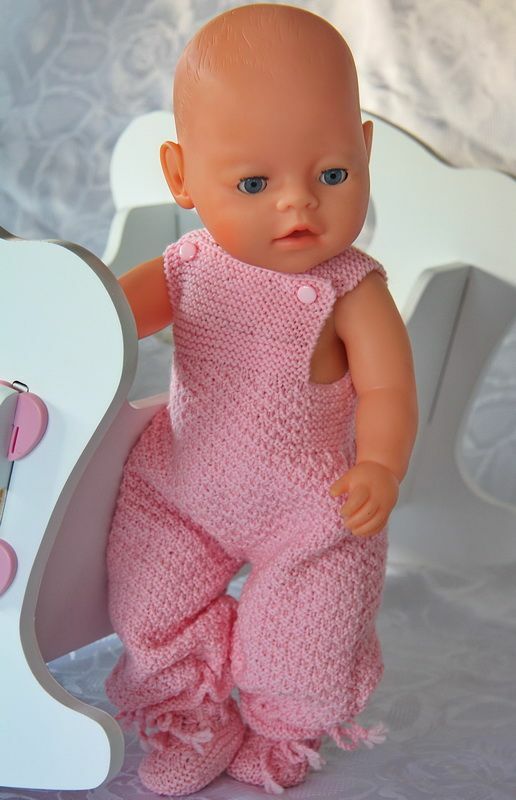 I realized that I have not designed baby doll clothes for a long time. 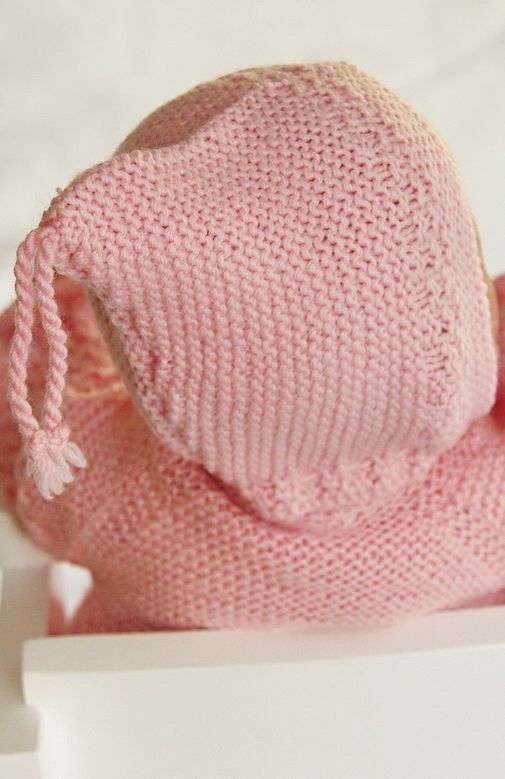 Some of you have even demanded another baby doll clothes design so here it is, a pink baby clothes pattern for your doll. To speak the truth I am quite satisfied with the result, so I hope you are too. 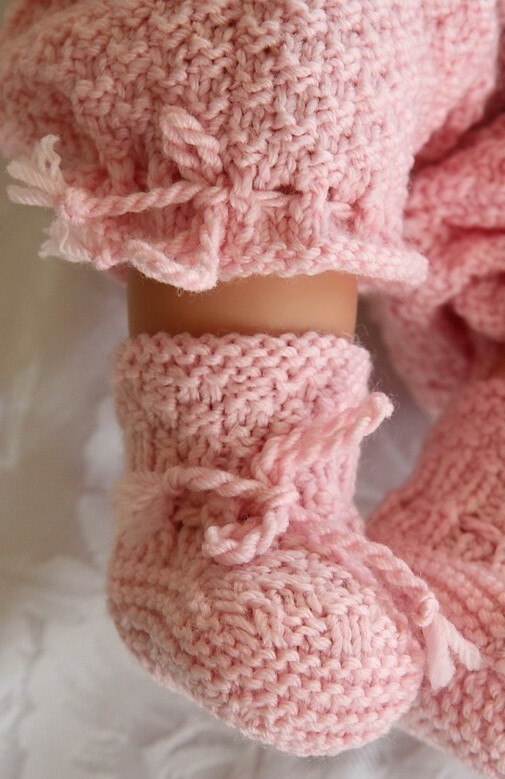 I am very fond of baby doll clothes and I love to design and knit them. 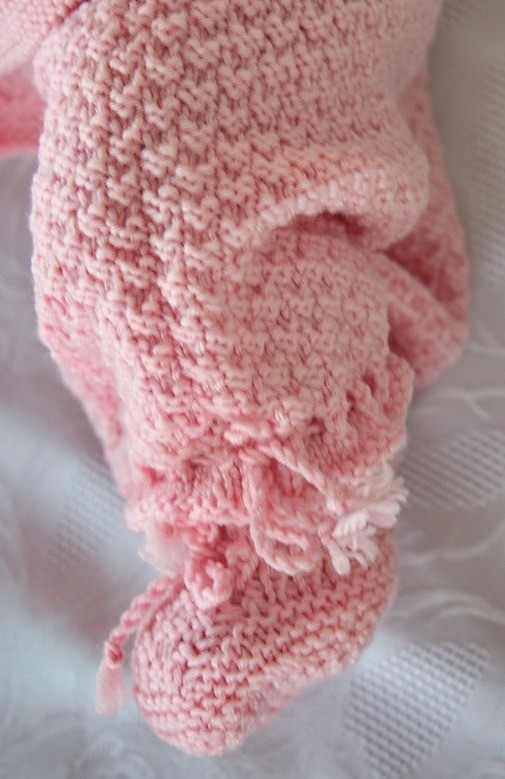 Light colours and soft thin wool yarn are fantastic. 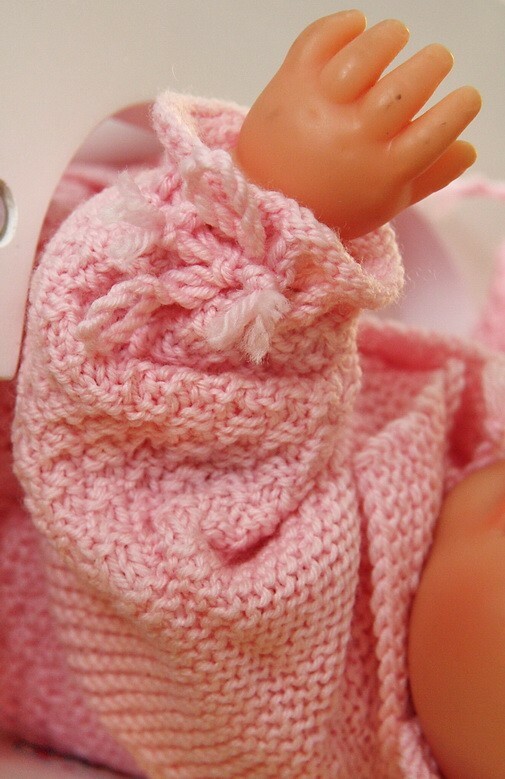 I had a lot of pink baby wool here and started to knit a jacket for my doll. I guess you all know by now that I love to knit in all kinds of moss stitch. I think moss stictch is very nice for doll clothes. With this pattern I have used double moss stitch and garter stitch together. ... 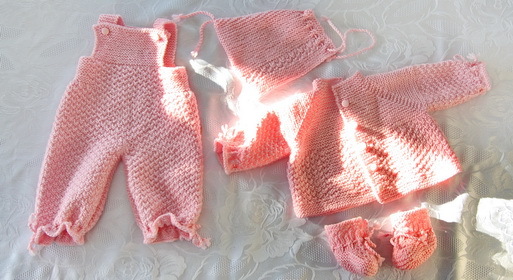 I hope you too will like these clothes and enjoy knitting them!